In a late-night vote the Greek parliament has approved next year's budget, which imposes a new wave of deep spending cuts and sharp tax hikes. It was prescribed by the EU and the IMF in exchange for a 110 billion euro bailout to stabilise the nation's finances. 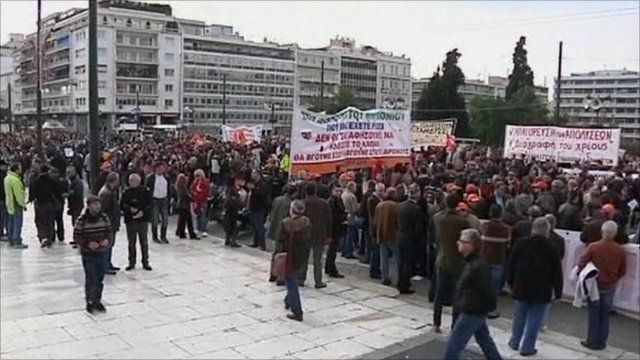 Earlier in the day thousands took to the streets of Athens to demonstrate against the measures.